It seems only fitting that as our month of vegan comes to a close, that I begin to think about vegan desserts. 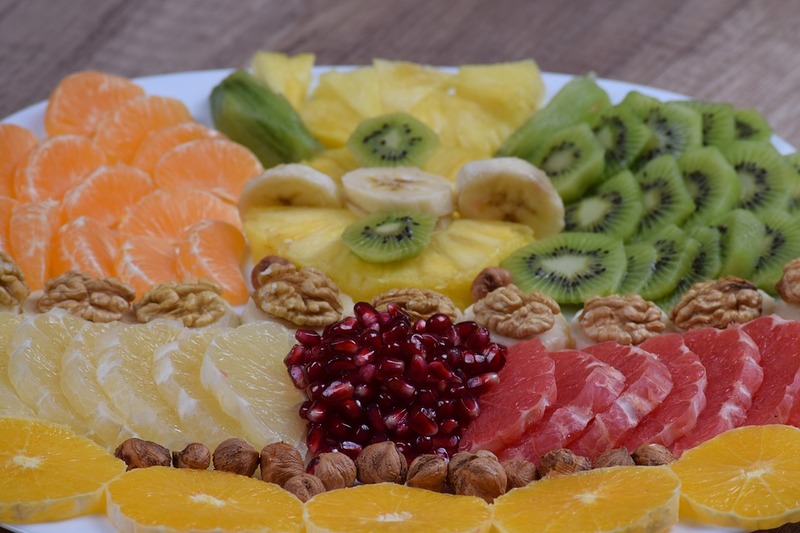 When I began this challenge, I thought that my only dessert for 30 days would be pieces of fruit, and while that might have been the most healthy choice, I wanted a real dessert. Don’t get me wrong. A beautiful fruit plate is a delicious work of art, but I have a serious sweet tooth, and I love chocolate, so I needed some other options. I was glad to discover that being vegan didn’t require me to abstain from sweets for the full 30 days. 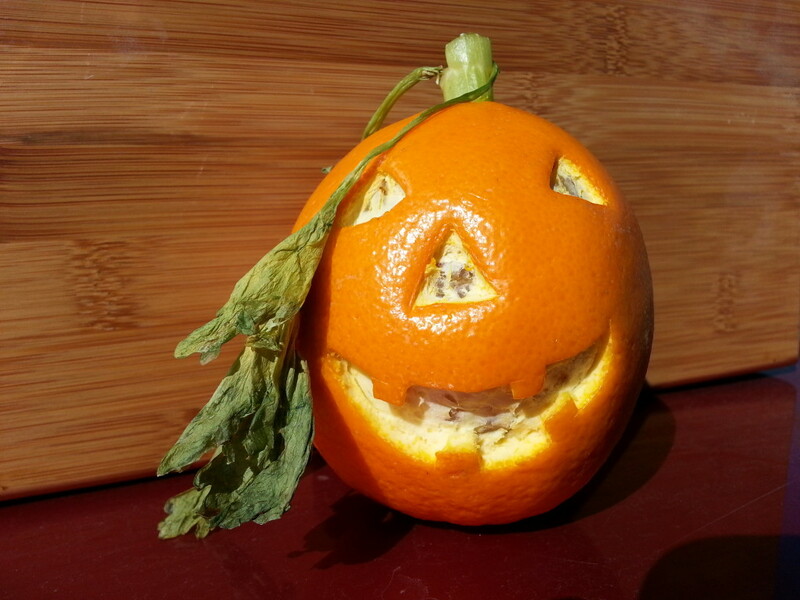 An orange, with the skin carved makes a cute lunchbox treat, too. I realize that an orange jack-o-lantern, has a limited seasonal appeal, but consider that there are other possibilities for other times of year. Perhaps, carving a smiley face on the orange, or your child’s initials or name into the skin can brighten their day, and make that piece of fruit in their lunchbox a little more appealing (pun intended). 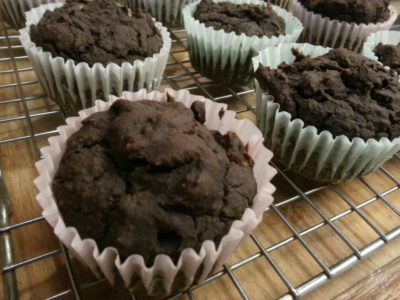 I am seriously in love with chocolate, and these chocolate bean muffins are simple to prepare, don’t require any unusual, hard to find, ingredients, and they taste good. When I made these the first time, I took them to work with me and after verifying that no one had any food allergies, I invited them to partake. Everyone loved them and commented on how moist and chocolatey they were. They were all shocked to learn that they were made from beans. One person was adamant that I was lying and insisted the white chunks were white chocolate and not beans. 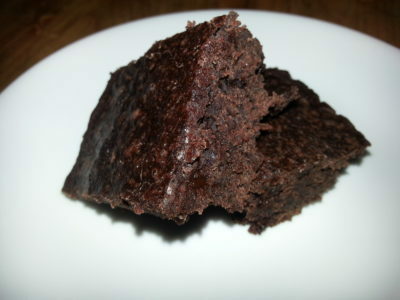 This recipe for black bean brownies requires only two ingredients, the only challenge is finding a brand of brownie mix that’s vegan. Once you’ve found that, the rest is very simple to prepare. These are a favorite in our family, and they came in handy during our 30 days of vegan to ensure there was no mutiny. Last year, when I attended #EFC2017, I had the opportunity to participate in an activity sponsored by Kroger in which we mixed fresh fruit with coconut water to make drinks. These were very refreshing. This coconut water and berry popsicle recipe is very similar, except it’s frozen into a popsicle form. These are a healthy, and vegan, alternative to sugary popsicles, and they’re very refreshing on a warm summer day. Technically, these aren’t popsicles. 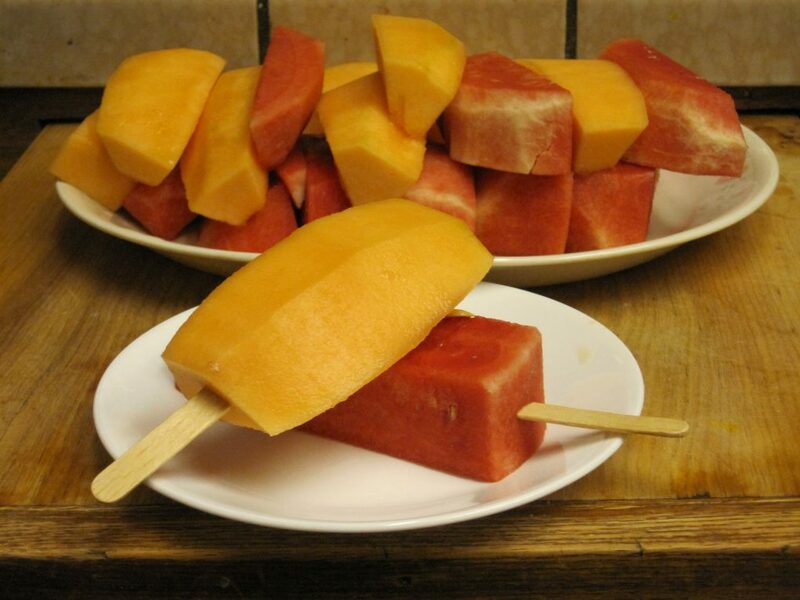 Instead, they are wedges of melon that are served with a food safe popsicle stick inserted into the ends. 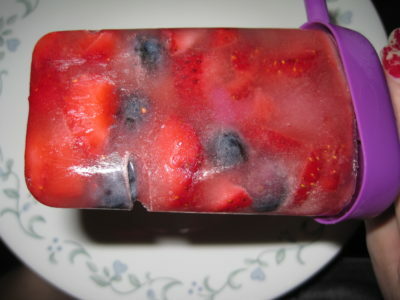 They are a simple way to serve fresh fruit for a barbecue, and if you want your Fresh Fruit “Popsicles” to be frozen, you can stick them in the freezer, too. Frozen melon is actually quite good, and it passes Baker’s Man’s “bite test” which is how he determines if my homemade popsicles are made correctly. “You can bite the store bought popsicles when they’re still frozen.” He always proclaims. 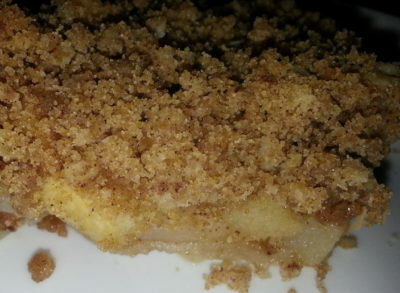 I have been making variations on this easy apple crisp since Baker’s Man and I were in college. I love how simple it is, and I appreciate that it doesn’t call for a lot of sugar. We created this version when a good friend of ours developed a gluten and dairy intolerance, and we were very pleased with how well it turned out. We love to make our apple crisp this way even when we’re not feeding her. Why? Because I don’t need to use butter. This means if our butter supply is low, I can still make dessert for the family. Plus coconut oil is cheaper than butter, and you know I’m all about frugal food. 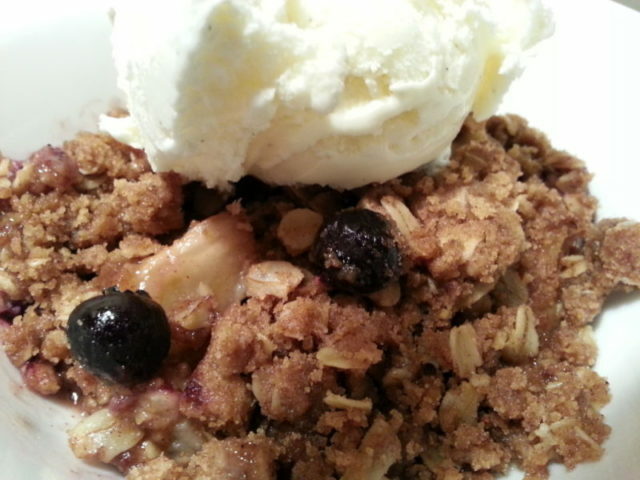 This is a variation on our easy apple crisp recipe that I created specifically for our thirty days of vegan challenge. This variation contains apples and blueberries which is a combination that I particularly enjoy. This vegan blueberry apple crisp is also gluten free which makes it a good choice if you’ve got friends who are avoiding gluten either for health or because of a diet. This is another variation of our usual cobber recipe which can be prepared with either canned or fresh fruit. Inspired by my success with the blueberry apple crisp, I swapped out our usual butter for coconut oil. My next swap was to swap regular dairy milk for coconut milk since I already had a can on hand. For the fruit, I chose pineapple because I already had so much coconut flavor going on. I was thinking about pina coladas, but you really couldn’t taste the coconut. 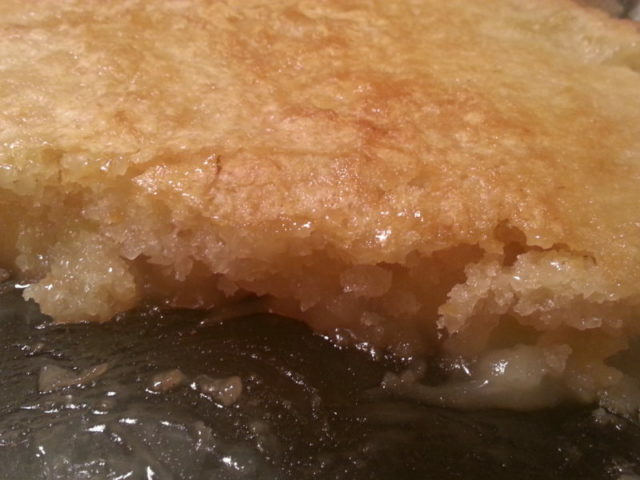 Regardless, I was so happy with the results that I made this pineapple coconut milk cobbler more than once. Unfortunately, I kept forgetting to keep my family at bay so I could get decent photos for the blog. Even if you’re not vegan, you need to try this recipe. 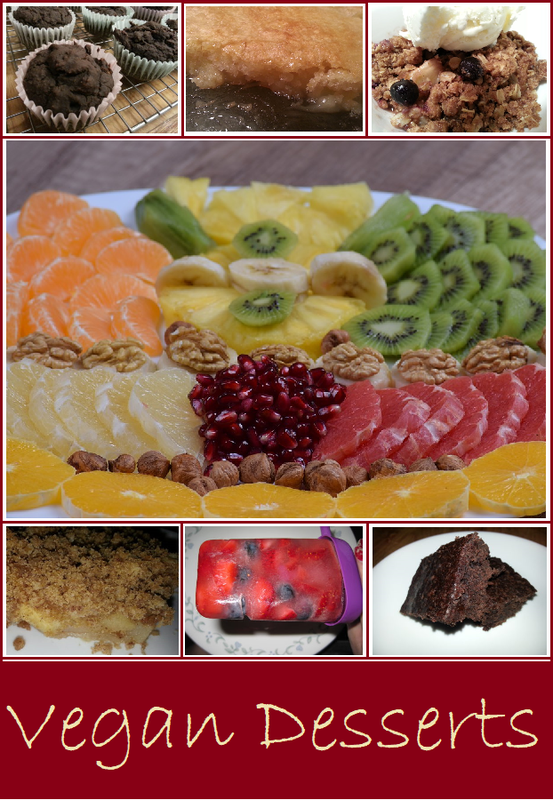 I was so worried that being vegan would mean that I could only eat pieces of fruit for dessert when we began our 30 days of vegan challenge, but I quickly learned that I had many more options available to me. 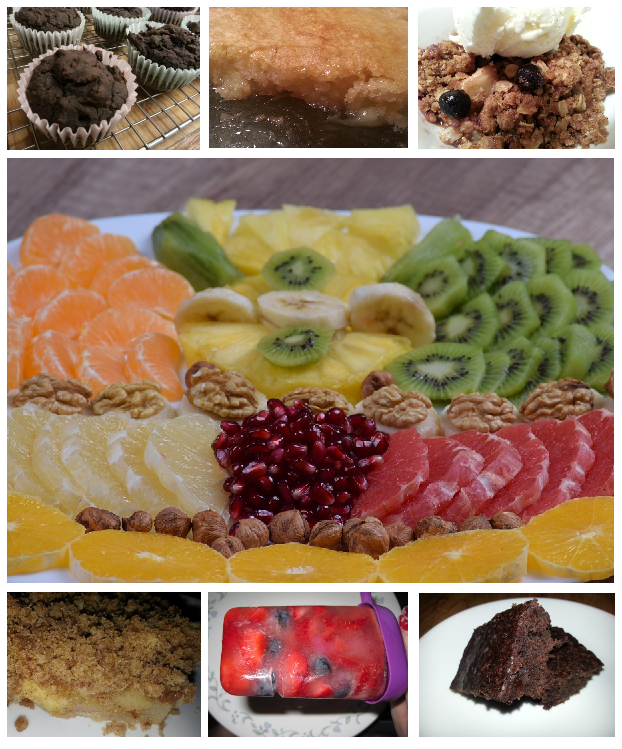 I have other vegan dessert recipes that I tried during the month, but I only had 30 days to share recipes with you, so some of them will be coming along later. I hope that even if you’re not vegan, you give these recipes a try and let us know what you think by leaving a comment below.